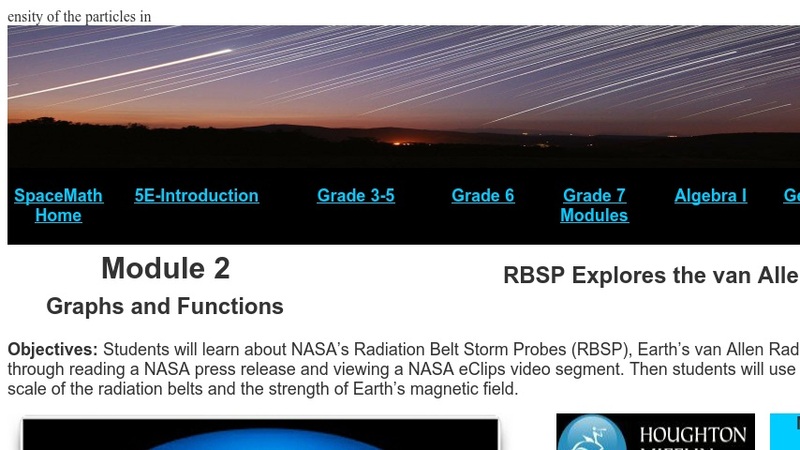 Students will learn about NASA's Radiation Belt Storm Probes (RBSP), Earth's van Allen Radiation Belts, and space weather through reading a NASA press release and viewing a NASA eClips video segment. Then students will use simple linear functions to examine the scale of the radiation belts and the strength of Earth's magnetic field. This activity is part of the Space Math multimedia modules that integrate NASA press releases, NASA archival video, and mathematics problems targeted at specific math standards commonly encountered in middle school textbooks. The modules cover specific math topics at multiple levels of difficulty with real-world data and use the 5E instructional sequence.